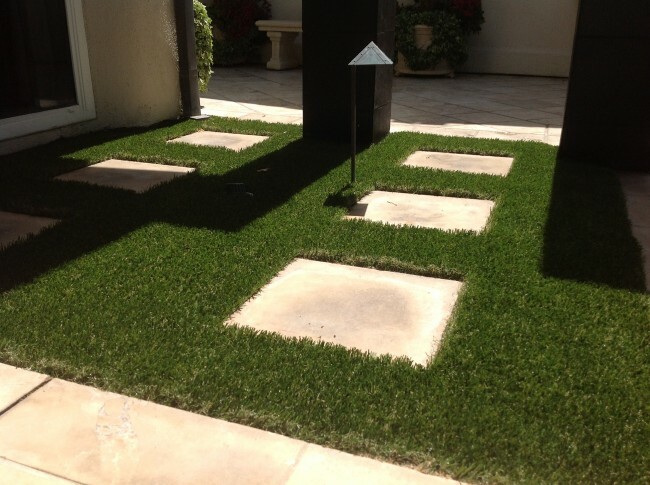 NoMow Turf recently completed a project in Newport Beach that resulted in a makeover for a very high-visibility area. Our client was having a difficult time keeping his baby clover growth alive amidst the adjacent travertine tiles. The area receives partial sun, with some spots too dry or too wet. You get the point a maintenance headache! 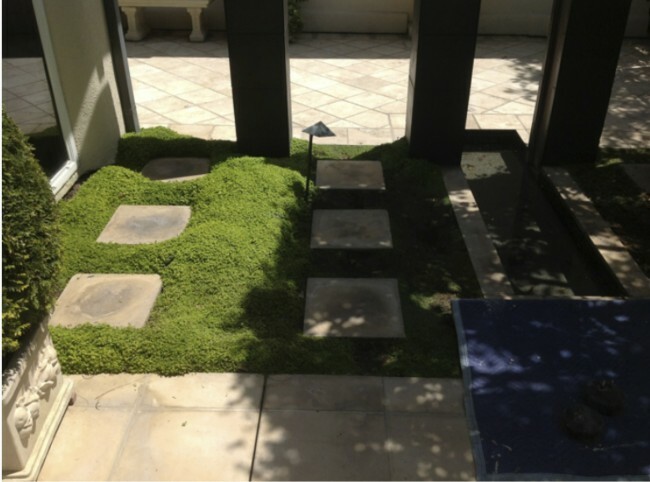 As you can see in the before and after photos, the mission was accomplished with synthetic grass! The client is delighted that his featured entry way, the first thing guests view when they come through the gate, is now a maintenance and hassle free environment and forever beautiful as well.